Cacao is a powerful plant medicine that has been used ceremonially for thousands of years across Central and South America. 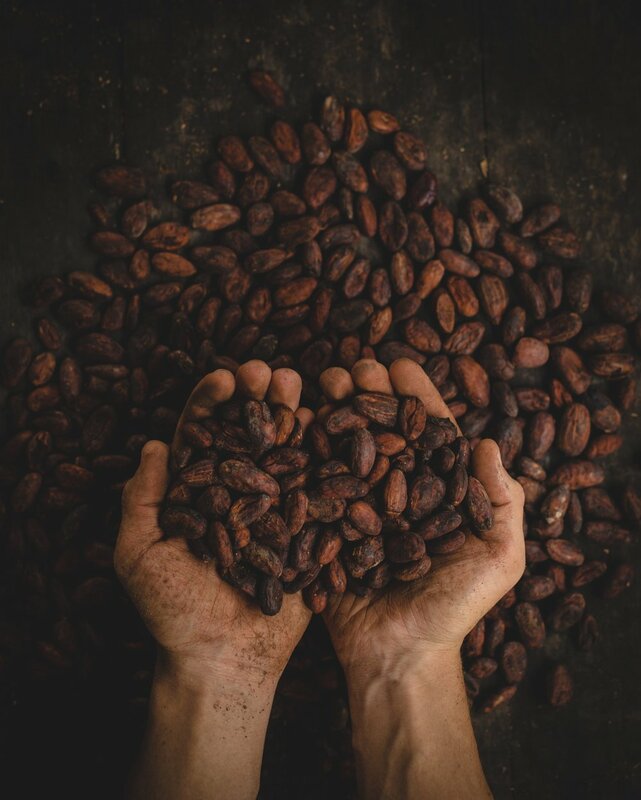 It's active ingredient; Theobromine, is translated as 'Food of the Gods', and the people of ancient Meso-America attributed a sacred status to Cacao, and would drink it ceremonially to commune with their gods. The Maya believed that the ka'kau' was discovered by the gods in a mountain. According to Mayan Mythology Hunahpú gave Cacao to the Maya civilization after humans were created from maize by the divine grandmother goddess Ixmucané. The word Cacao originated from the Maya word Ka'kau', as well as the Maya words chokola'j " to drink chocolate together. Cacao has many amazing, life-affirming qualities that support health and psychological well-being. She is a powerful Plant Medicine that helps us to release emotional blockages that no longer serve us, find forgiveness in ourselves and others, and shows us the way forward if we are stuck, or afraid of making necessary life changes. It also enables us to access stuck emotions, conditionings, patterns of behaviour and addictions that are buried deep in the unconscious. Cacao contains potassium, phosphorus, copper, iron, zinc, and magnesium which contribute to cardiovascular health. Cacao has the ability to trigger the release of dopamine and the endorphin; phenylethylamine, both of which soothe the symptoms of premenstrual syndrome and depression. Scientific research now confirms that chocolate helps to relieve emotional stress. Most importantly, it releases anandamide, the bliss molecule. Anandamide is an endogenous ligand that your body naturally produces that makes us feel “high.” It is a natural pleasure molecule that fits into the cannabinoid receptor sites of the cells of the nervous system. Raw Cacao also contains powerful antioxidants along with a significant amount of chromium, which balances blood sugar levels. It increases the blood flow to the brain, creating more mental agility, awareness and focus.